Let your everyday spending take you closer to Great Britain. With every purchase made with your British Airways Visa Signature® Card, you're one step closer to a trip across the pond. Or by booking with one of British Airways' many airline partners, you can use some of your Avios (British Airways currency) to plan a trip a little closer to home. While not a traditional bonus, for the first 12 months new cardholders will earn four Avios per $1 on every purchase up to $30,000 spent. Do the math and that means you can earn 120,000 Avios by spending just $30,000 in the first year. The ongoing rewards rate is pretty good, too, in that, after those first 12 months (or after you spend $30,000 in that time frame) you'll receive an ongoing three Avios per $1 spent each time you use your British Airways Visa Signature® Card on a British Airways purchase and one Avios per $1 on your other purchases. Those Avios can be used toward British Airways flights or on flights with its oneworld® partners which include Alaska Airlines, American Airlines, AirBerlin, Finnair, Japan Airlines, Qantas, Qatar Airways and more. Your Avios can also be redeemed for hotels stays, car rentals and trip experiences. Lastly, every calendar year that you spend at least $30,000 on your card you'll earn a Travel Together Ticket for a companion, good for two years. Simply redeem your Avios for a British Airways reward flight and use your voucher to take someone special with you in the same cabin. The seat is complimentary! All you pay are the taxes and airlines fees. That companion ticket alone more than offsets the $95 annual fee for this card. Earn four Avios per $1 spent during your first 12 months of card membership, up to $30,000 spent (details). Each calendar year you make $30,000 in purchases you will earn a Travel Together Ticket good for two years. British Airways Avios can be redeemed for flights with a wide range of partner airlines, so this card doesn't restrict you to only British Airways flights. The annual membership fee of $95 means card members need to spend enough to offset the cost of carrying the card, but, given the opportunity for a companion ticket each calendar year plus the solid bonus opportunity right now, the fee could turn out to be quite reasonable for regular British Airways guests. Our favorite feature of the British Airways Visa Signature® Card is easily the generosity with the miles and the rewards. Consider that a Travel Together Ticket good for any cabin on any flight could easily be worth $1,000 or more if you choose an international flight or first-class fare. Then there's that opportunity to earn bonus points on EVERY purchase up to $30,000 spent in your first year. That's a lot of reward potential. Furthermore, we also like that Avios redemption isn't restricted to British Airways flights. Thanks to British Airways' oneworld® alliance network, travelers can fly to hundreds of destinations around the world on a plethora of airlines, both domestically and internationally, using Avios. If you can manage a little research, you'll be able to redeem your Avios wisely and really maximize the benefits and minimize the cost. Even if you aren't headed overseas anytime soon, this card could still work for you. In fact, an argument could be made that Avios are even more valuable for short-haul flights in the U.S. on one of the partner airlines, as redemptions start at just 7,500 Avios. Lastly, Avios can also be used on hotel stays, car rentals and trip experiences so you aren't just limited to one redemption category. Plus, with the British Airways Visa Signature® Card, it's easy to keep racking up additional Avios after that first year with three Avios earned on every British Airways purchase and one Avios on everything else, helping you to arrive at your dream destination even sooner. Though you can use Avios to fly on British Airways from the U.S. to Great Britain, the high fees and fuel surcharges charged by British Airways will often cancel out the savings of an award ticket. Because of this, to make the most of your Avios, your best bet for long-haul international flights would be to book a rewards flight with one of British Airways' many travel partners, like Aer Lingus for a flight from Boston to Dublin. Then, once you're abroad, you'll be better off on short-haul British Airways flights so you can avoid those high fuel surcharges associated with flying across the Atlantic. It's also possible to book a domestic flight with one of British Airways' partner airlines, with deals as low as 7,500 Avios for flights originating and terminating in the U.S.
Second, while the Travel Together Ticket for a companion can be a fabulous perk, the $30,000 spending threshold might be a bit steep for some (though, you should aim to spend that in the first 12 months at least so you can take full advantage of the bonus rewards earning opportunity). And furthermore, even though it's advertised as complimentary, it's not really free as you're still responsible for paying taxes and fees for the second ticket, which can range from $680 to $1,250 depending on your departure and arrival locations, as well as travel dates. There are other restrictions as well. With this ticket you have to fly round trip from the U.S., and it's only valid on British Airways, however, it can still be a terrific value depending on your dates and destination, especially if you're looking to fly business or first class. Lastly, some might not like the $95 annual fee that comes with the card. However, we think this fee is easy to offset considering what you get with the card. In our opinion, the excellent rewards earning opportunity in the first year and the great ongoing earning scheme will likely make the fee worth it for regular British Airways customers. Earn 4 Avios for every $1 spent on all purchases up to $30,000 in the first 12 months from account opening, you will then earn 3 Avios for every $1 spent on British Airways purchases and 1 Avios for every $1 spent on all other purchases. Earn 4 Avios for every $1 spent on all purchases within your first year up to $30,000. That's up to 120,000 bonus Avios. Though it's only about half of what you could earn as a new British Airways Visa Signature® Card holder, the 60,000 bonus points you can earn as a new Chase Sapphire Preferred® Card holder are nothing to scoff at, especially considering the fact that they are worth 25 percent more when redeemed for travel. When redeeming for airfare, hotels, car rentals, and cruises through Chase Ultimate Rewards®, 60,000 points are worth $750. With the Chase Sapphire Preferred® Card, you aren't restricted on where/how you travel. If you plan to heavily use your card (especially within the first year), and are loyal to the British Airways brand, the British Airways Visa Signature® Card could be an excellent card to hold, especially since you can also earn a Travel Together Ticket once reaching the $30,000 threshold. However, if you're looking for more flexibility with how you travel, you might want to further consider the additional perks of the Chase Sapphire Preferred® Card. The Chase Sapphire Preferred® Card earns users two points on travel and restaurant purchases, and one point on every other purchase, has no foreign transaction fees, and comes with a number of travel protection benefits, such as auto rental collision damage waiver, baggage delay insurance, trip delay reimbursement, and travel and emergency assistance services. There is a $95 annual fee associated with the card, but the bonus offer alone far outweighs that cost. It's not the up to 120,000 Avios you earn by spending $30,000 in the first year like you can get with the British Airways Visa Signature® Card, but for a limited time Citi® / AAdvantage® Platinum Select® World Elite™ Mastercard® cardholders earn 60,000 American Airlines AAdvantage® bonus miles after they spend just $3,000 on the card in the first three months and that certainly isn't a bad offer for those loyal to the American Airlines brand (Citi is a CardRatings advertiser). The Citi® / AAdvantage® Platinum Select® World Elite™ Mastercard® cardholders earn two AAdvantage® miles for every $1 spent at gas stations, restaurants and on eligible American Airlines purchases,* versus the three miles the British Airways Visa Signature® Card earns cardholders for British Airways flights, but with the Citi card you'll also earn a $125 American Airlines Flight Discount after you spend $20,000 or more in purchases during your card membership year and renew your card. If you're exclusively making flight purchases with American Airlines and also want to earn some on your everyday purchases, the Citi® / AAdvantage® Platinum Select® World Elite™ Mastercard® is a fine choice, but if you often fly with British Airways, the British Airways Visa Signature® Card may be the way to go as you can still use Avios to fly American Airlines since it's a British Airways oneworld® airline partner and there's no opportunity for a companion ticket with the American Airlines card. The Citi® / AAdvantage® Platinum Select® World Elite™ Mastercard®'s annual fee is $99, waived for first 12 months*. This is another general travel rewards card as compared to an airline-specific card, which means you can redeem your rewards for a wide range of travel opportunities. Plus, with the Capital One® Venture® Rewards Credit Card, you earn two miles per $1 spent on all your purchases, making this an excellent card for people who don't want to worry about earning more rewards for purchases in certain categories or keeping track of a spending cap. The Capital One® Venture® Rewards Credit Card offers new cardholders 50,000 bonus miles, worth $500 in travel, after spending $3,000 within the first three months. Miles can be redeemed without worrying about a particular brand or blackout dates. So, for example, you can fly any airline, stay at any hotel, anytime and not have to worry about blackout dates. Plus, you can transfer your miles to over 12 leading travel loyalty programs. Lastly, as you would expect from a card with "venture" in the name, you won't be paying foreign transaction fees if you use the card abroad. The Capital One® Venture® Rewards Credit Card's annual fee is $0 intro for first year; $95 after that. Bottom line is that you'll want to consider your loyalties and plans for your rewards; if you want flexibility, the Capital One® Venture® Rewards Credit Card is probably a better fit. Who Should Get the British Airways Visa Signature® Card? The British Airways Visa Signature® Card is a great choice for those who frequently travel on British Airways or even its partner airlines. It's best for people who can spend at least $30,000 on the card, particularly in the first year in order to take full advantage of the bonus earning opportunity, but its important each year in order to earn the Travel Together ticket. 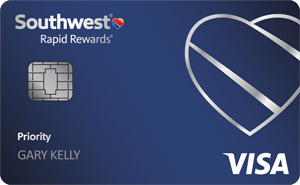 2 points per $1 spent on Southwest® purchases and Rapid Rewards® hotel and car rental partner purchases. 1 point per $1 spent on all other purchases. Earn 40,000 points after you spend $1,000 on purchases in the first 3 months. 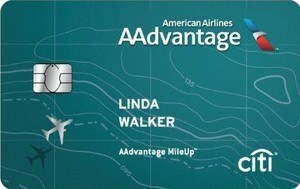 I applied for this card and received a 100k miles last year when they had a similar promotion. I was planning on using the miles to go to London during the Olympics, but good luck trying to find a flight! Now a year later, I'm finally using my points, since I discovered that you can use them for hotels, and the selection of hotels is actually pretty decent. So I will be using some of my points for a stay in Greece this summer (I just don't know if I'll be using Euros or Drachmas when I visit in August...). So in general I use my Amex since I like the fact that their rewards program allows me to shop for gift cards, electronics, travel, etc. more flexibly, but this is a good backup card since not everyone takes Amex. Overall solid card.